Camacho was at his girlfriend’s residence in West Covina when he began experiencing difficulty breathing, said Cpl. Rudy Lopez in a press release. Hospital officials called the police shortly before 7 a.m. to notify them of Camacho’s death. The cause of death has yet to be determined by the Los Angeles Coroner’s Office. According to police, Camacho was a Brazilian Jiu-Jitsu Instructor and Competitor, and had recently competed in Long Beach on Sunday. In a previous interview with this newspaper, Camacho said he grew up in East Los Angeles and mixed martial arts fighting changed his life for the better since he got involved 19 years ago. Through the mental and physical discipline of martial arts, “I want to guide them in the right direction,” he said. Camacho was an advisor from 2009-2012 on the board of directors for the Man-e Moreno Foundation, a San Gabriel Valley-based nonprofit group dedicated to helping homicide victims’ families and keeping kids away from drugs and gangs. 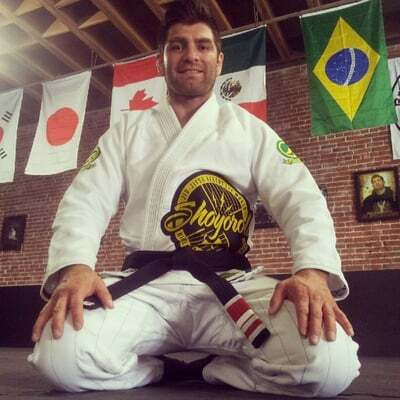 Camacho participated in the North American Brazilian Jiu-Jitsu Federation this past weekend in Long Beach and won a silver medal, according to his friends. Robert Moreno, founder of Man-e Moreno Foundation, knew Camacho since 2007 and worked closely with him. “He will be deeply missed by many and his legacy will live on,” Moreno said. Camacho’s cousin, Charlie Valencia, was shocked about Joe’s death and said (Camacho) had never showed signs of health complications. “I’ve never seen him drink or smoke, I don’t understand; he was a very healthy kid,” Valencia said. Valencia said Camacho was very positive and would do anything possible to help others. “It’s unfortunate, I was very close to him; we can’t even put things into perspective, I still can’t believe it,” Valencia said. Valencia said Camacho was a pioneer in the sport and was fighting before it became mainstream. “He did so much and took fights he probably shouldn’t have taken, but still did it; that’s how much he loved the sport,” he said. “I’m stunned,” said martial arts Hall of Famer George Valdez, who owns kickboxing studios in Whittier and East Los Angeles and knew Camacho for about 20 years. He called Camacho’s death a huge blow to the MMA community. Aspericueta became a student of Camacho’s many years ago and soon became an amateur mixed martial arts fighter. Camacho, who began his pro career in 1999 and fought at 145 and 150 pounds, won 13 fights and lost 19 with three draws. Nicknamed “JC Plentee of Skills,” Camacho fought and lost to big names such as Joe Stevenson, Roger Huerta and Antonio McKee. His last victory came about two years ago via split decision over Victor Valenzuela on a Respect in the Cage card in Pomona . “It’s really unfortunate,” Faber said on MMAjunkie Radio. “He was such a great guy, a positive guy, and loved the fight game. He wasn’t coming off a bunch of wins, by any means, but the guy loved the sport and he was a true mixed martial artist. -Staff Writers Sandra T. Molina and Brian Martin contributed to this story.